This is not manufactured by a milling machine in china. It is made by a actual human, not too far from Seattle. After the initial assembly I go over each one of these & make sure all the stitching is solid, if I see something I do not like I toss it back on the machine and add more stitching. 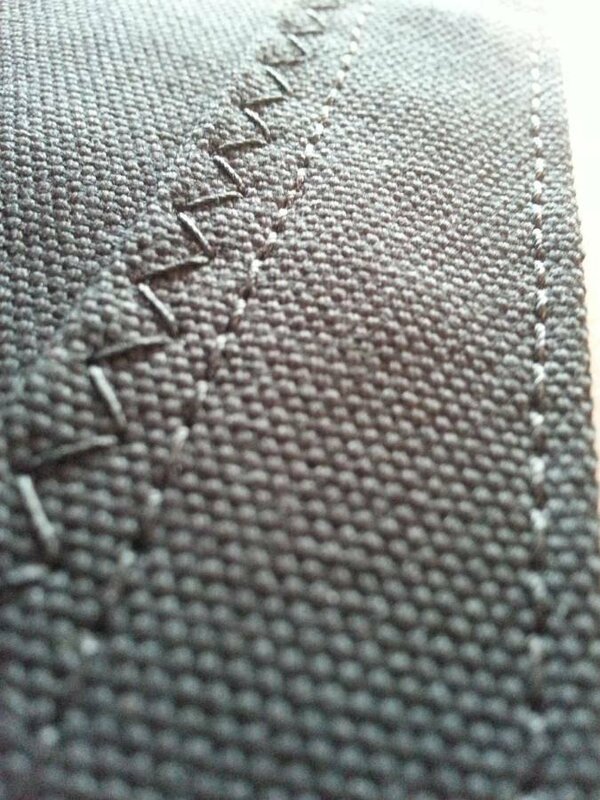 Do I care if its 100% in line with what I am sewing over, not as much as I care about solid and strong & durable. That being said, I do try to keep it looking good! Sew (sorry, I had to) if you cant hang with hand crafted.... then order one of those cheap knock off glory holes from china!